The Community of Saint Martin – a religious congregation? At a first sight, it has all that it takes for a religious congregration: a quite long formation apart from the noise of the world, the community life of priests, a community habit… However, the members – priests and deacons – of the Community of Saint Martin are not “religious”, but really “secular” priests and deacons. According to the Church law, the Community of Saint Martin is a public clerical association of pontifical right. It is an association of priests and deacons who choose to live the community life, in a mobility at the service of dioceses. Being ruled by statutes and normes, the Community does not have a “rule” like in the religious congregations; its members do not commit themselves by means of vows, like for example the Benedictines or the Jesuits. The membership of the Community is therefore based an commitment which does not take the form of religious vows, but rather the form of a handing over of a part of one’s own will into the hands of the General Moderator, elected to govern the whole Community. 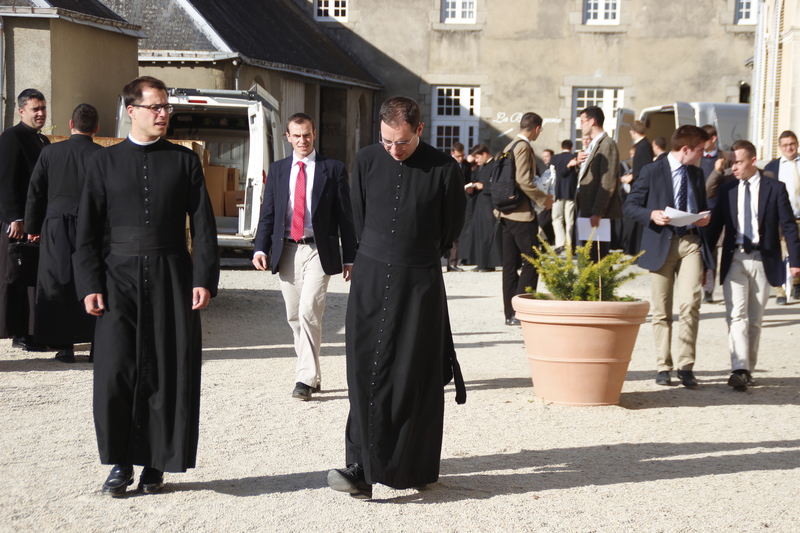 The priests and deacons of the Community simply want to live the ordained ministry in common, according to the recommendations of the Second Vatican Council (decrete Presbyterorum ordinis). They choose thus the community life in order to sanctify themselves and in order to more fruitfully accomplish their ministry, in the frame of the mission entrusted to them by the Church. Mais ce sont bien des prêtres séculiers!